Q. What do you get when you combine 2 IBM’s, 1 Macintosh, 1 SPARC station, plus 40 other processors? A. 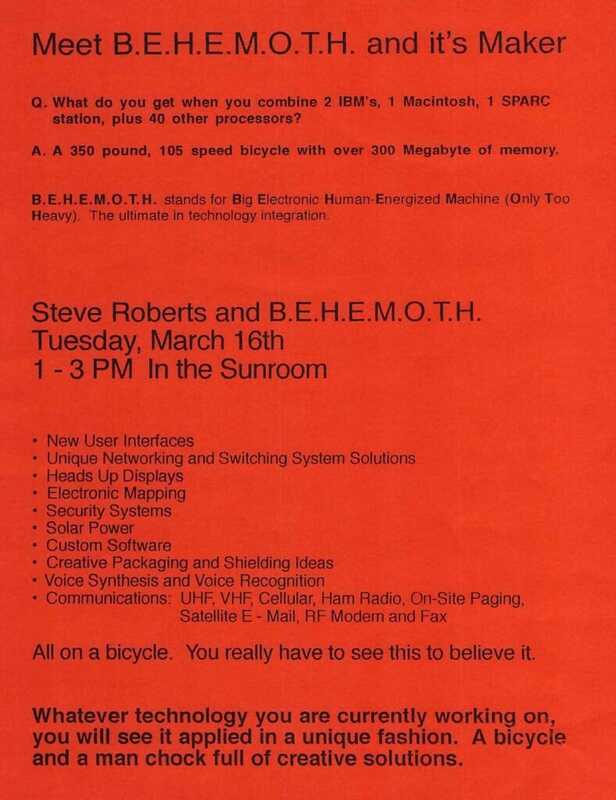 A 350 pound, 105 speed bicycle with over 300 Megabyte of memory. B.E.H.E.M.O.T.H. stands for Big Electronic Human-Energized Machine (Only Too Heavy). The ultimate in technology integration. All on a bicycle. You really have to see this to believe it. Whatever technology you are currently working on, you will see it applied in a unique fashion. A bicycle and a man chock full of creative solutions.